LXXXII, 106 p., 12 ill., 17,7 x 24,5 cm. On the basis of the original drafts re-transcribed from the Russian, introduced and edited by Alexei Nikolaevič Krouglov. Kant’s reception in Russia is one of the least-explored pages in Kant’s influence studies. Leo Tolstoy’s (1828–1910) aphorisms collection is one of the most significant phenomena of this reception. It evolved from Tolstoj’s intensive reading of »Critique of Practical Reason« and »Religion Within the Limits of Reason«. 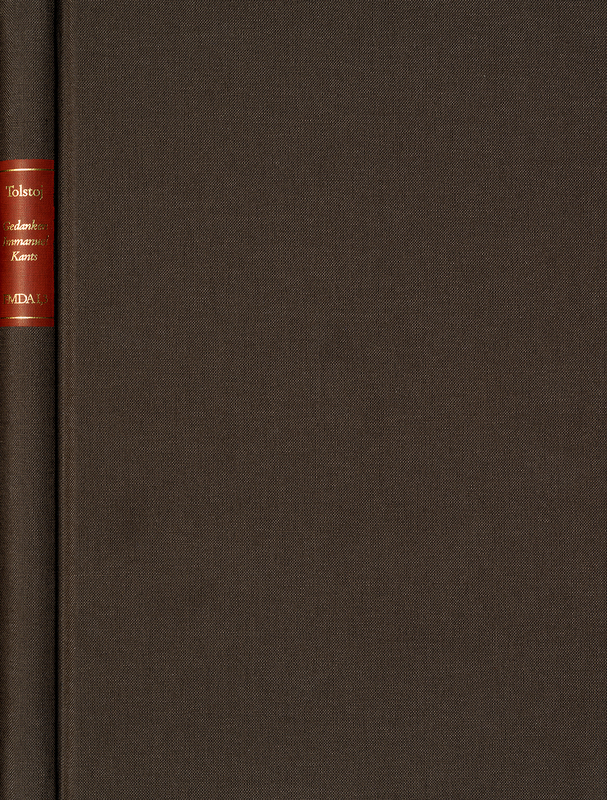 This collection of Kant’s thoughts on various subjects (predominantly on moral and religious philosophy) has had a great impact on Russian Kant studies. Today it is of great interest not only in Russia but abroad as well, since it shed light on the strong ties of Russian and German cultures.